The west of Iceland is uncompromising in its isolation. Here wildlife seeks refuge and civilisation is replaced by sorcery. 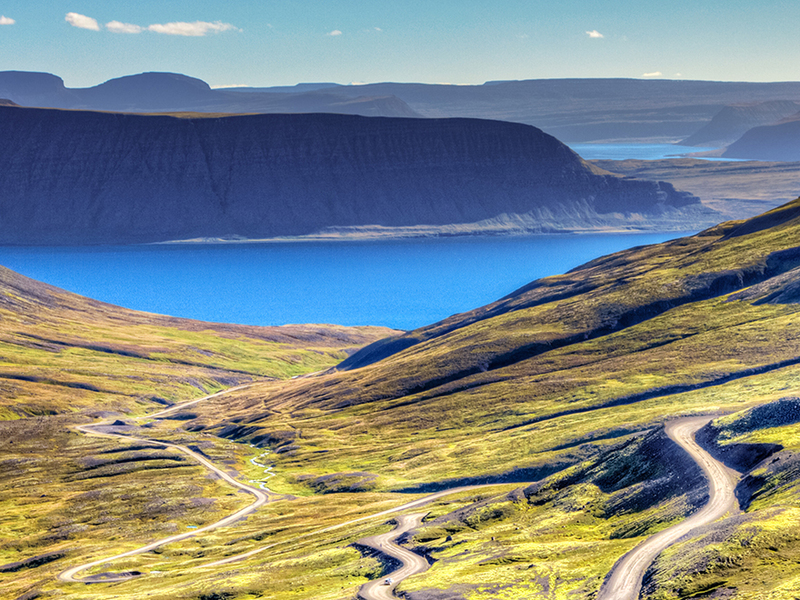 Discover the stories and sagas hidden among the fjords, mountains and glaciers of this remote region on a week long self-drive holiday of Iceland’s Snaefellsnes Peninsula and Westfjords. Experience the energy from below whilst soaking in natural hot springs, admire cascading waterfalls and immerse yourself in Viking sagas. The trip will be tailored to your level of comfort and group size. Arrive to Keflavik Airport and collect your rental car. Explore the Reykanes Peninsula and make an optional visit to the Blue Lagoon before continuing to Hveragerði - a unique village that sits on hot springs. Throughout the year, plumes of steam evaporate from the ground creating a natural geothermal system that heats greenhouses, bakes bread and even boils eggs. You’ll stay overnight in Hveragerði. 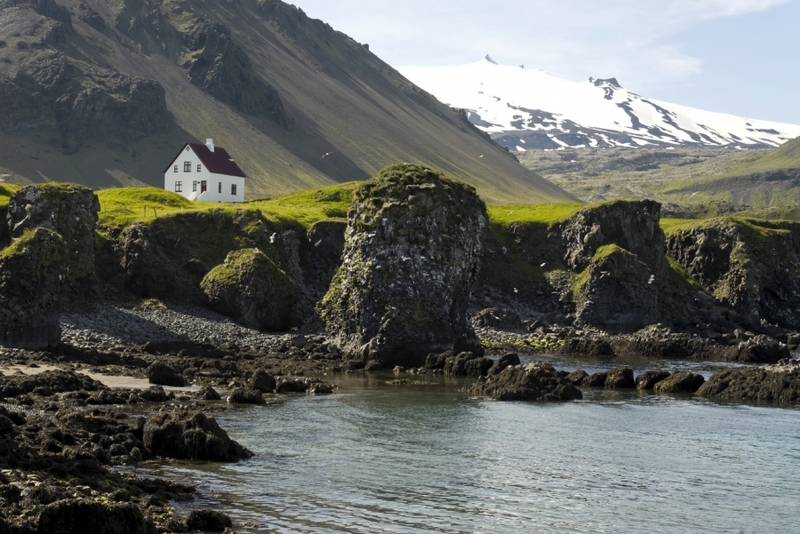 Today’s drive will take you towards the Snæfellsnes peninsula along Iceland’s west coast. You’ll pass the moon-like Eldborg crater which rises over 60m above the surrounding lava. 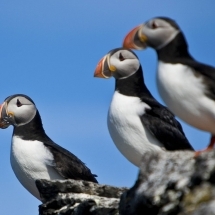 The coastline will open up before you where you'll find abundant birdlife at Arnarstapi sea cliffs and shiny pebble beaches at Djupalonssandur. Take the opportunity to enjoy short, wind-swept hikes with the back drop of the glacier-capped volcano of the Snaefellsjokull glacier. This icy cone-shaped peak covers a dormant volcano that last erupted in 250 AD. You’ll stay overnight in West Iceland in or near to Stykkisholmur. 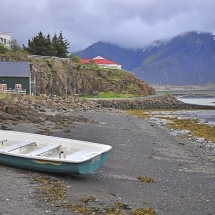 Today you’ll board a ferry across Breidafjordur Bay, which is home to more than 3,000 tiny islands inhabited by colonies of nesting seabirds and seals. 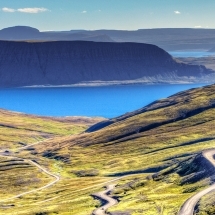 Iceland’s Westfjords are untamed, remote and isolated. Here the birdlife population greatly outnumbers humans, no more so than at Latrabjard cliffs, Europe’s most western point. 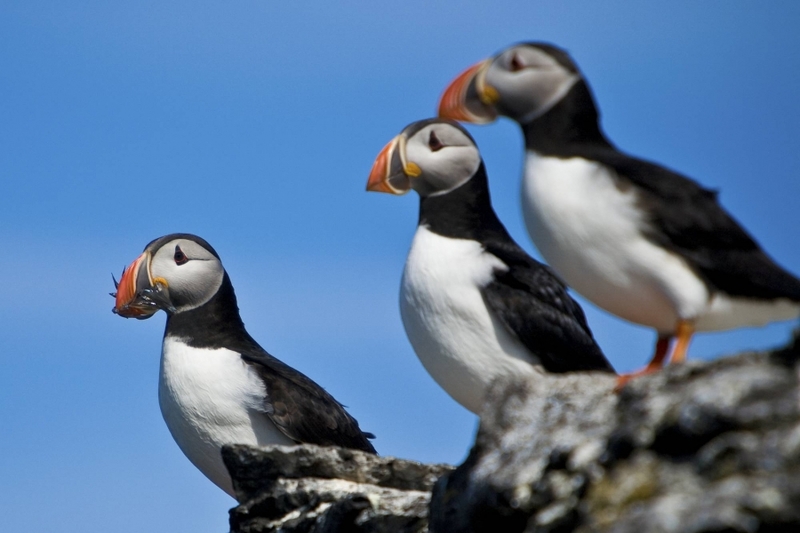 The sea cliffs reach a dizzying 441 metres in height and are teaming with puffins, gannets, guillemots and razorbills. The cliffs double as a spectacular viewing point for the stunning beaches that stretch out below. During the midnight sun season, daytime is never-ending giving you many hours to enjoy the bracing and ever-changing views. 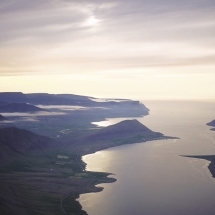 You’ll stay overnight in the Westfjords. Your journey in the Westfjords will today take you past rugged heathland and moorland which hide thermal bathing springs. Take a dip in the warming waters as you enjoy the blissful isolation. Returning to the road, you’ll eventually reach Dynjandi waterfall. Admire the powerful cascade as it plunges over the edge of a mountain over 100 metres (329 ft) in height. Its triangular cascade is something of a wonder and its location provides yet more stunning ocean views over lush valleys. 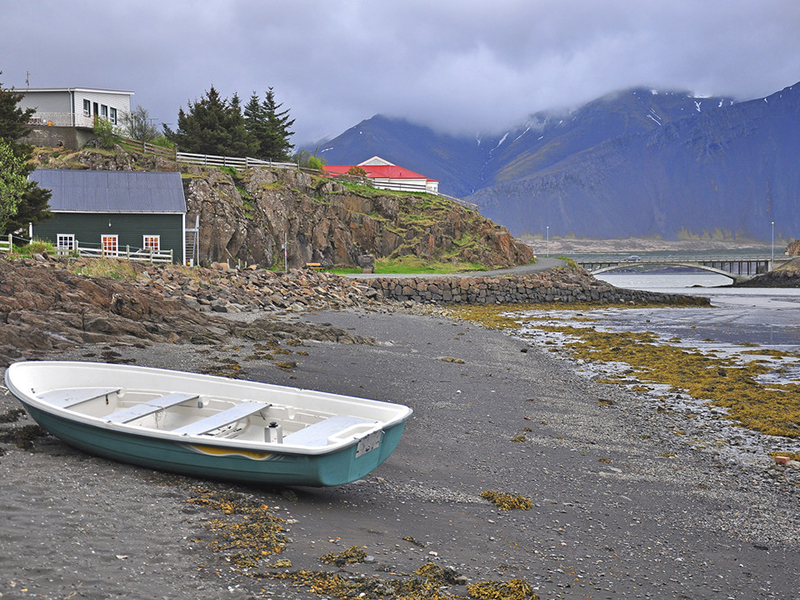 Today you’ll also have the opportunity to visit the fishing villages of Thingeyri with its Viking heritage and Isafjordur, where you’ll stay overnight. 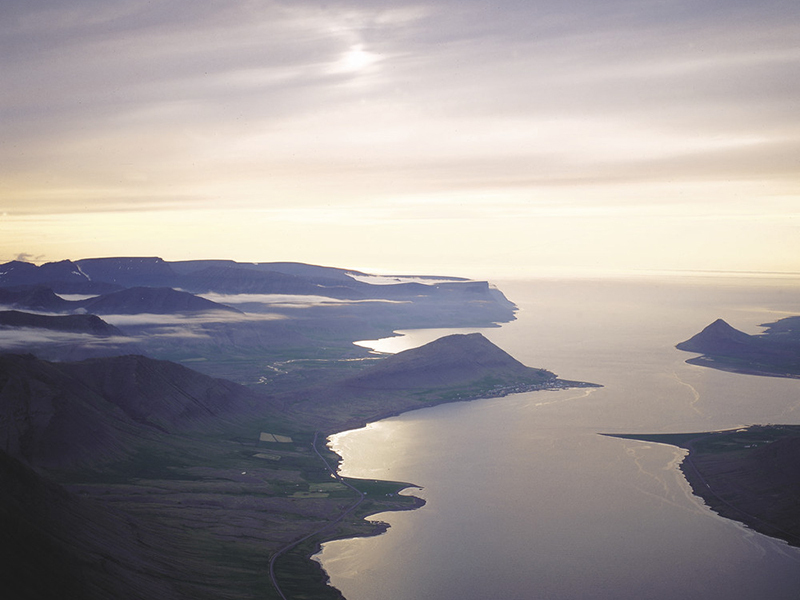 Isafjordur is known as the capital of the Westfjords and a thriving community in perfect isolation. Here you can also enjoy sea-kayaking, hiking and boat tours. Today your journey follows the shoreline of the Isafjardardjup Fjord which has created miles of inlets that are largely uninhabited by humans but abundant in wildlife. Steep mountains fall into glassy fjords before yet more beautiful coastline comes into view which until spring is often clogged with sea pack ice. Strandir is a place veiled in mystery with its history of sorcery and witchcraft. Contemplate the folklores and legends as you soak in natural geothermal pools, hike the windswept moorlands and immerse yourself in the fertile green valleys of Laugar in Saelingsdalur. Visit the Museum of Icelandic Sorcery, pick wild blueberries and look out for sightings of the Arctic fox. 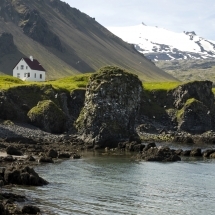 You’ll stay overnight in Laugar in the Saelingsdalur area. Today you’ll drive to Eiriksstadir, the Viking home of Erik the Red and birthplace of his son Leif Eiriksson, who discovered North America. Admire the turf-covered replica of his longhouse and the magnificent views to Haukadalur valley before continuing to Borgarfjordur. 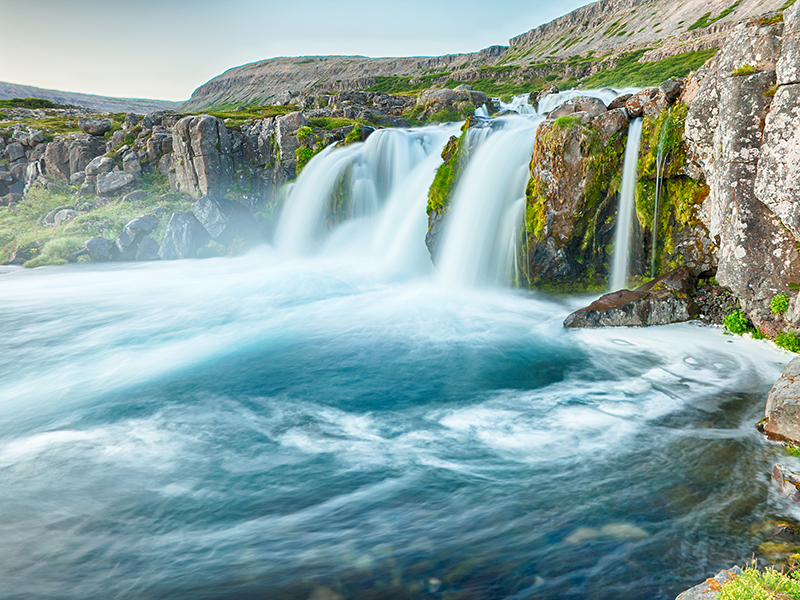 Visit the impressive Hraunafoss waterfall where the water seems to appear from below the moss-covered lava tipping into a turquoise pool below. The water originates from a clear water spring. Continue to Barnafoss - another waterfall, different in character. This one is a fierce rapid cutting through a narrow canyon and has a tragic story giving rise to its name “Children’s waterfall”. 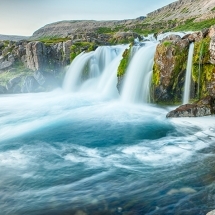 Before returning to Reykjavik, we recommend visiting Husafell - a natural landscape characterized by lava formations, mountain springs, glaciers and birch woods. Here there are some great hiking opportunities as well as the chance to venture inside a glacier. Make a final stop at Deildartunguhver, Europe’s most powerful hot spring, where you can buy organic tomatoes grown using geothermal heat. Continue via Hvalfjordur (Whale Fjord) to Reykjavik. Overnight in Reykjavik. Today return to Keflavik Airport and return your rental vehicle. If you wish you can extend your stay with extra nights in Reykjavik, Husafell or in other parts of Iceland. The team here at Magnetic North will be delighted to suggest tour options to match your travel dates. If you'd prefer to shirk the city altogether, why not substitute the final night in Reykjavik for a night at the wilderness hotel Husafell where you can also go inside the glacier.